Here is a very short text by Coquelin cadet I found among the new documents published on the digital library Gallica today morning. It is signed under the pseudonym “Pirouette” and is taken from “Le Livre des convalescents” published in 1885. 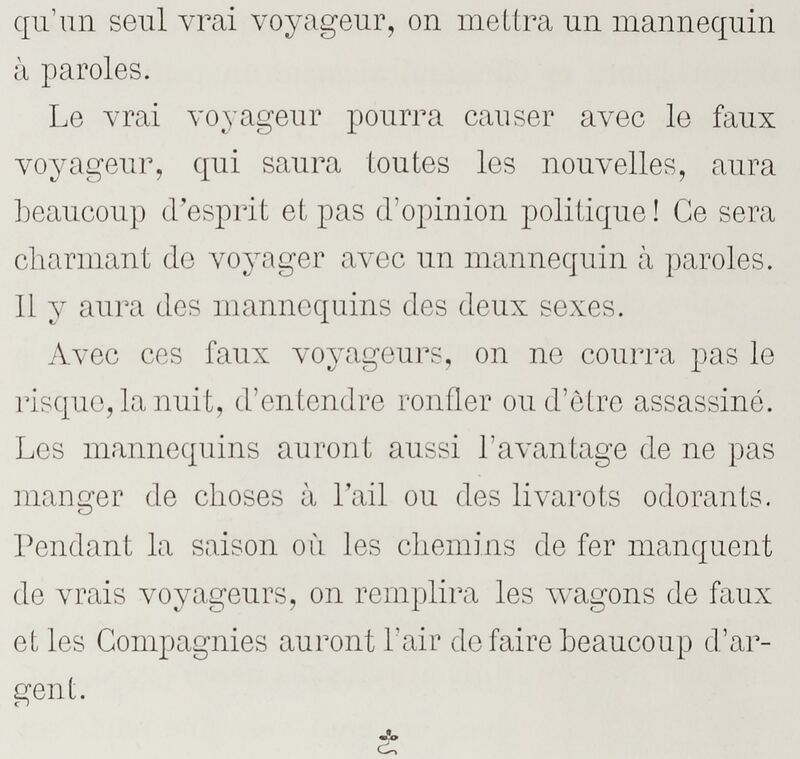 Coquelin writes about talking mannequins featuring a phonograph that could be placed inside the trains. He tries to imagine the conversations passengers could have with these smart mannequins, who will know all the news but won’t have any political opinions. In other words, Coquelin imagined humanoids that seem to be taken straight from the Black Mirror or Westworld TV series, rather than from a texte written in 1885.